:: Do You Want To Talk About SERIAL? How much do you love an interesting story? If you’re anything like me, the answer to that question is, um, heaps. 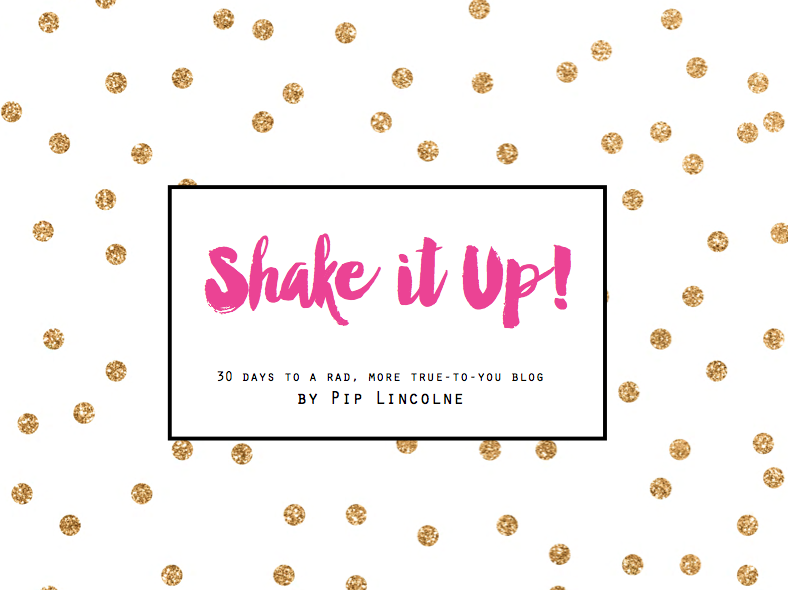 Stories are the stuff that growth, connection and chatter are made of, and are especially compelling when they are real-life experiences, recounted masterfully. That’s the kind of story we’ve been soaking up. 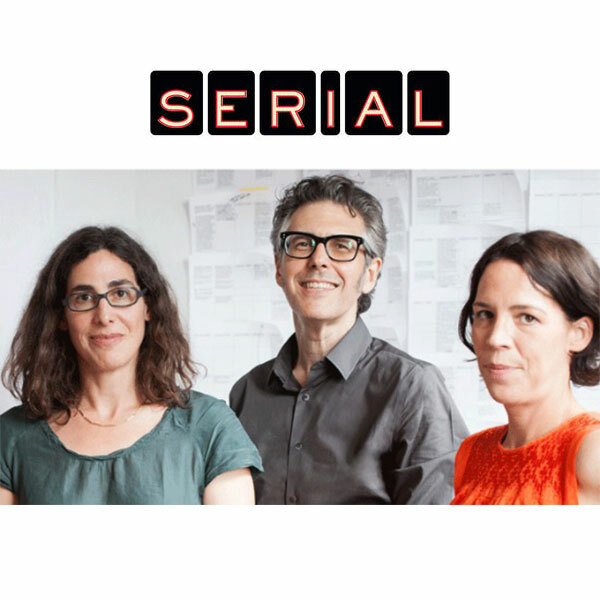 To reiterate the facts in case you’ve missed them till now: The new show is called Serial and it’s hosted by Sarah Koenig, who’s done some of the most memorable stories ever on our show. 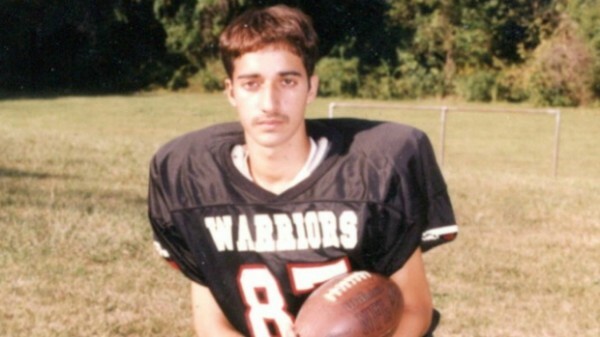 What’s different about Serial is that it’s a story that takes a dozen episodes to tell. So each new episode brings you the next chapter of this amazing, unfolding story. Serial’s a podcast, not a radio show, because a podcast seems like a better place for a long story that you need to hear from the beginning. With podcasts, you can download everything and binge listen. Not sure how to get a podcast? We’ve prepared simple instructions. You know, part of me wishes that I was listening to SERIAL weekly on the couch, pre-tv, on a scratchy radio, with a bracing cup of tea and a rock cake. And I don’t even LIKE rock cakes. I just love the slow pace and the nostalgic feel of this kind of storytelling and it makes me feel sentimental and all yearn-y for simpler times. I also really admire the time and dedication that’s gone into researching and presenting this story in such an listenable, potentially addictive way. So, I was hoping you might want to talk about Serial! If you have been listening too. I’m going to add my thoughts in the comments, to keep this post spoiler free. See you there in a minute! Do you want to talk about Serial? What are you thinking, so far? I feel a bit late to the party but I have just listened to all of the Serial episodes over 2 days – a bit like binge watching TV shows, I guess. I listened while I sewed away and it was completely riveting. The twists and turns are amazing, one minute I feel like the case is totally clear cut and the next I feel like there are glaring omissions. I’ve had more thoughts towards the latter as the episodes have continued. The best thing is that not even the Serial team know the answers to the story — we learn alongside them. I think Sarah is really conflicted, it seems she wants to be on Adnan’s side but there are so many unanswered questions. The legal team introduced in the most recent episodes have raised really interesting questions, like who hadn’t been questioned by the police, for example. I can’t wait for the next episode. Why do I just simply have to read the comments just because someone told me not too??? Ohh, thanks for reminding me about Serial, I want to start listening to it. Tomorrow will be the day, right after I have caught up with the Project Runway Finale! Ooh that is so exciting. I am being super disciplined and not reading any of the comments yet. I’ll be back! I’m loving it too! I just love a good mystery! Why is that detective so sure! Aargh he seems so nice and just so not a murderer but then editing has an amazing way of telling things the way we want to hear…. They are so clever this show is amazing! Hooked too! I can’t bear the suspense of the weekly releases though. I listened to the first three back-to-back. I’ve been googling to try and find pics of everyone but all the content seems to have been generated by Serial this year. So cool that they are resurrecting this story and giving Hae another chance at justice. Pip – I’m stuck on the car thing too. Why, if Adnan barely knew Jay, did he give this guy his car and his phone? Why did he change his story about asking Hae for a lift? We definitely don’t know a heap of stuff … yet. But Sarah is really invested herself and seems to think Adnan is innocent or is that me projecting? I loved The House of Grief and so so so wanted to believe in his innocence and that it was all just a terrible accident. But ultimately I didn’t. I feel differently with Adnan. I do think he’s innocent. The case at trial just doesn’t sound strong (as we know it so far). There is just so much room for reasonable doubt. I guess the question is what would Jay’s motive be in killing Hae? Yes – she does seem to believe in Adnan’s innocence. Personally, I am reserving judgement. And you are right, why would Jay kill Hae? We don’t know anything about their relationship, if they even knew each other. Also, how stupid would you have to be to tell someone you barely knew that you planned to murder someone, and then involve them in burying the body?? But – maybe the psychology of planning a murder pushes people to unburden themselves. In This House of Grief, I just couldn’t believe that Robert Farquason would tell his friend at the fish and chip shop ‘I’m going to kill the kids’. But he clearly did (the couching syncopy story was so bizarre, and as if he himself was in denial about what he had done), and his case had fewer grey areas than this one. He was obviously depressed and hurt and so angry at his wife, whereas so far there seems no evidence that Adnan was depressed or hurt or angry at Hae…fun to discuss this with other listeners of Serial! Would Jay kill Hae in order to set up Adnan out of jealousy at his closeness to Stephanie? It seems far fetched. But why Adnan would involve Jay seems equally strange. I think there will be a twist and an introduction of another key player or event. It’s great to talk about it here! Pip is doing a great community service! I didn’t realise everyone was into Serial – thought I was on to a secret thing! I listened to all 4 episodes over the weekend and am obviously hooked. It comes down to Jay – if he is lying, then he has a major reason to lie, and that must be because he is guilty. If he is not lying, then I see no reason why he would make up this story to frame Adnan, so his story must be true. He knew where her car was, so he is involved – either as the killer, or as the accomplice. Adnan sounds so genuine in his phone conversations with the reporter from prison, but then, how do you know. He is either a skilled liar, or a wrongly accused victim. Have you read Helen Garner’s lastest book, This House of Grief? Very similar story telling style. Incredibly sad, but incredibly written. Oh thank goodness, please let’s talk about Serial. The weeks are feeling very long since it started. I hope she interviews Jay (how fascinating is THAT going to be). And his girlfriend who after all was Adnan’s close friend. It’s the best kind of radio and storytelling. Yes! Stephanie? I think that’s her name… YES! Yes, Stephanie. What the heck does she make of all this? She was/is so close to the 2 main players. She is the link between them. I really don’t understand why Adnan would tell Jay about his plans to murder and call Jay to help with the body if they weren’t friends. Is the drug dealing enough to hold over his head? Someone is doing some serious lying. I am loving the structure of it and how good they are at getting you to beg for next week. Adnan does seem far too accepting for a man wronged and jailed for 15 years. I know a lot of people are saying that he’s had 15 years and has had to come to terms with it but wtf. I think that Jay is the killer, too and has framed Adnan. I don’t know if he plotted it in advance or just took advantage of the fact that he had Adnan’s car and his cell phone. But who made the anonymous call to the police? I hate that it seems we won’t ever know the answer to that. And it’s so important! Mr S is definitely involved somehow, too. As soon as she explained that the police couldn’t see the body when they knew where it was it just seemed too unlikely. But why would he implicate himself? I also want to know why the police were so easy on Jay despite his inconsistencies and lies. Next week on Serial I guess… Ahhh, this is too much. Oh and WHY did Adnan give his car and cell to Jay? Why did he do that?! Argh!!! Okay. SO. I want to know WHY Jay’s testimony was considered truthful and authentic, automatically – even though there were HEAPS of inconsistencies. I can’t wait to hear why Mr S happened to be at that exact spot and found the grave so easily. And I can’t believe that Asia just assumed that justice had been done, when she and her boyfriend/his friend had an alibi for Adnan. Jay just sounds so dodgy doesn’t he? Is it just masterful editing? Are they going to reveal something as to why the police gave so much weight to Jay’s account? Also- teenagers and mobile/cell phones. When I got my first mobile phone I wasn’t letting it out of my sight. Certainly not three days after getting it, leaving it with someone who is regularly referred to as an acquaintance more than a friend. Will we get any answers by the end of Serial? I’m loving this new show and combing through the American Life archive via their app. I only started listening regularly about 3 years ago so I’ve got heaps of episodes to catch up on over the years. Such a satisfying feeling!